Apple iOS 11: The control center is now much better. Apple rolled out iOS 11 software update for iPhone and iPad users worldwide on Tuesday. The latest iOS update brings a number of new features and improvements over the last year’s iOS 10, which in itself was a major upgrade. 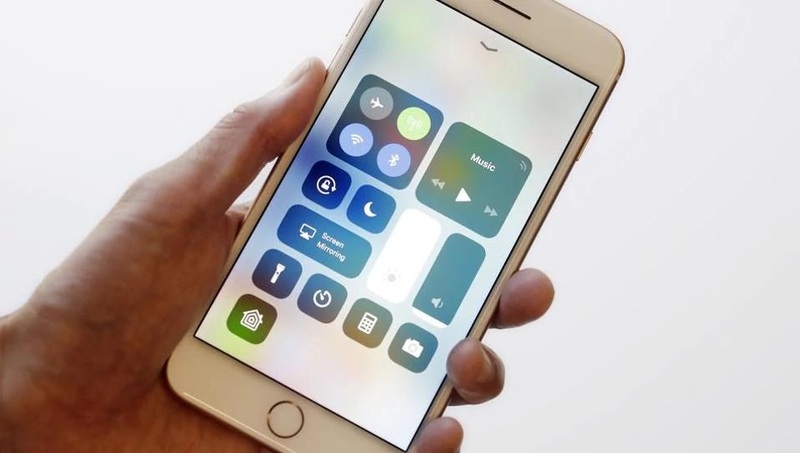 Announced at Apple’s WWDC developer conference in June this year, iOS 11 extensively focuses on giving more control to users for further customisation of the software experience. From user interface changes to native support for Augmented Reality (AR), Apple’s iOS 11 improves upon the earlier versions of the operating system and borrows some features from Google’s Android OS. The software update has started to roll out from yesterday, and if you’re planning to upgrade your iPhone or iPad, here’s what you need to know. One of the best things about Apple’s newer OS updates has been that it covers most of the older generation iPhones as well. Continuing the tradition, iOS 11 runs out-of-the-box on the newer iPhones, iPhone X , iPhone 8 and iPhone 8 Plus. It’s strongly recommended to create a back up of your iPhone, iPad or iPod touch before any software update. You can keep a backup of your apps on iClouds or iTunes. One of the easiest ways to update your device is to wait for the Over-the-Air update. Make sure your phone has enough charge and active internet connection. Since the update is more than 1GB, we recommend you to connect to a Wi-Fi network and avoid exhausting your mobile data. 2. If the update has reached to your device, you will see the notification about the availability of the new software update. Tap update. 3. Be patient, the process takes a bit of amount. Ensure your have enough storage on-board for a smoother update. 4. After having downloaded the update, your device will reboot. Re-enter your iCloud credentials to get started. You can also update your device using iTunes on your desktop. 1. Download the latest version of iTunes on your computer. 2. Connect your phone/tab to the computer through the data cable. 5. Just like the OTA update, re-enter your device and iCloud password to get started.